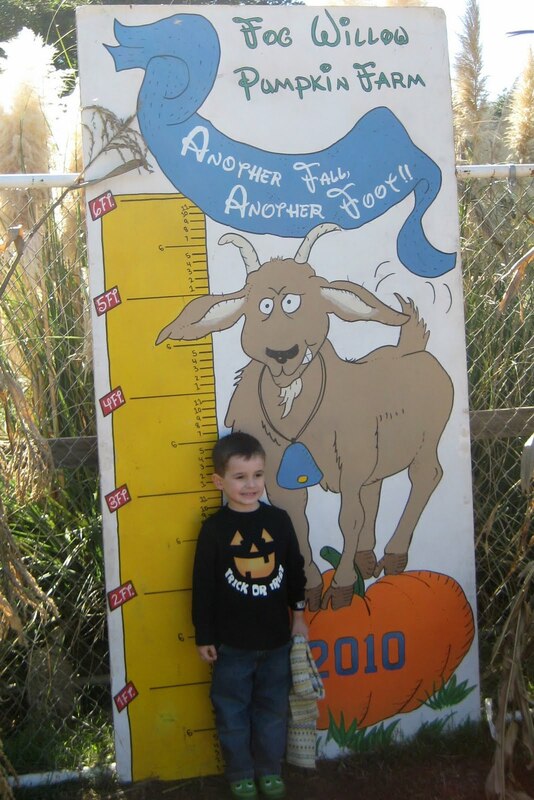 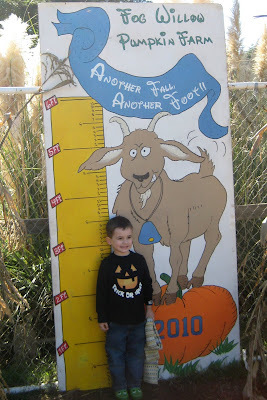 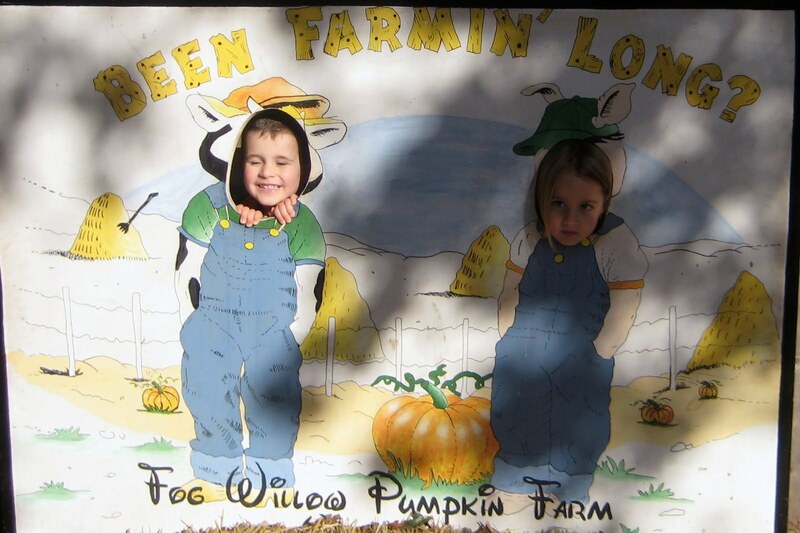 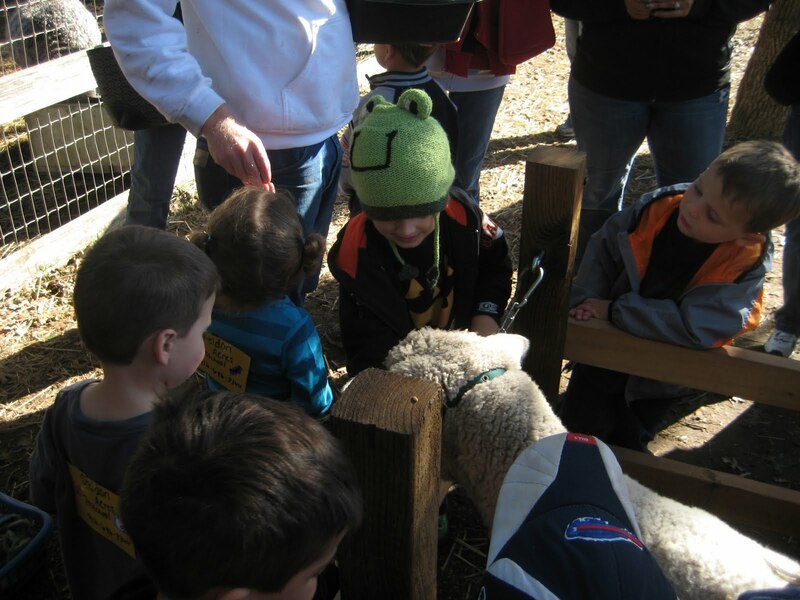 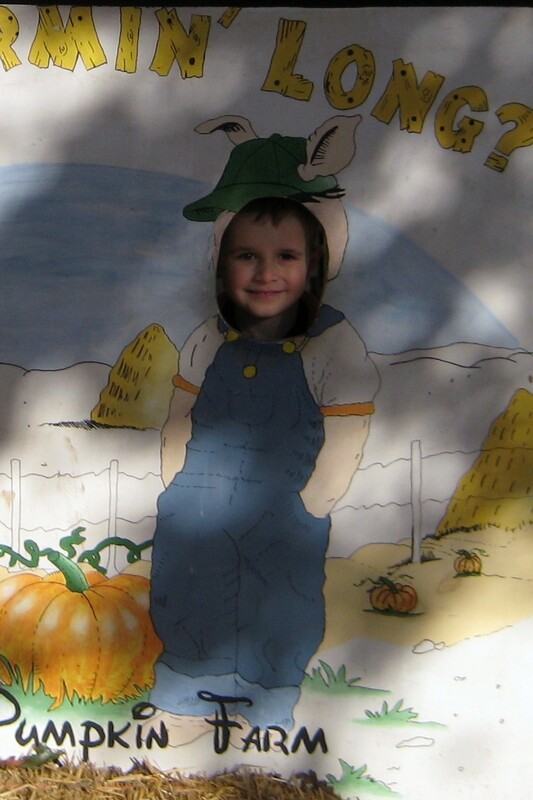 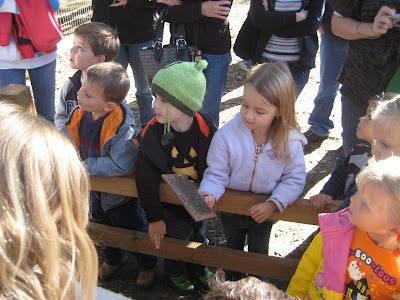 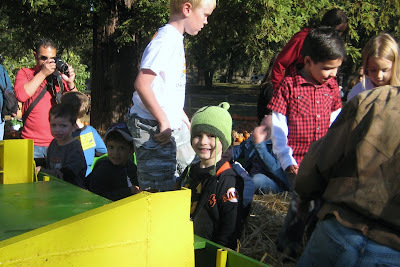 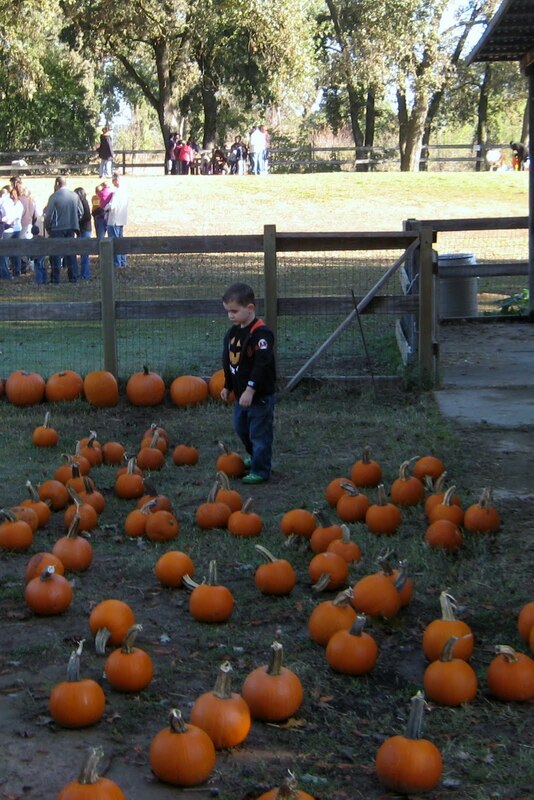 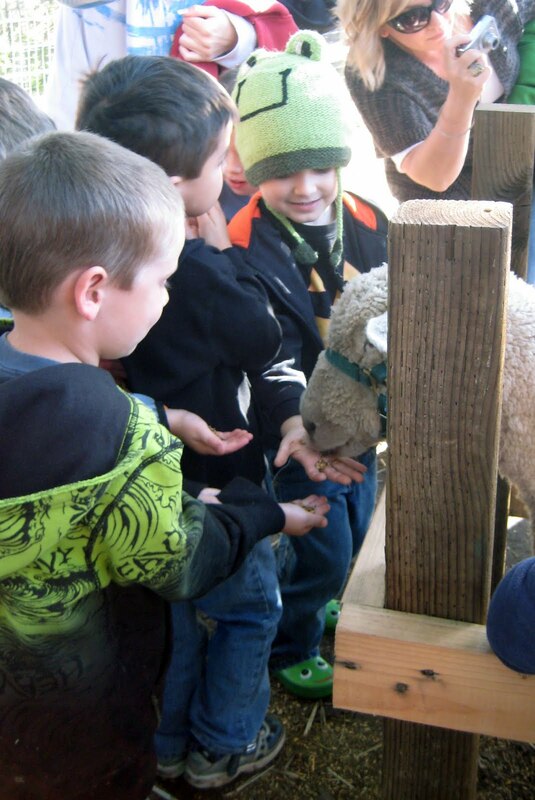 Owen's first school field trip was to the Fog Willow Pumpkin Patch and farm. 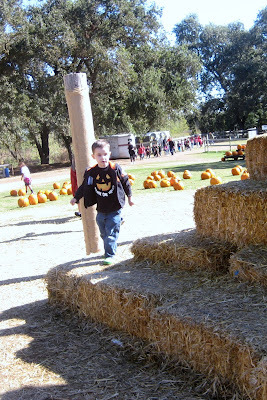 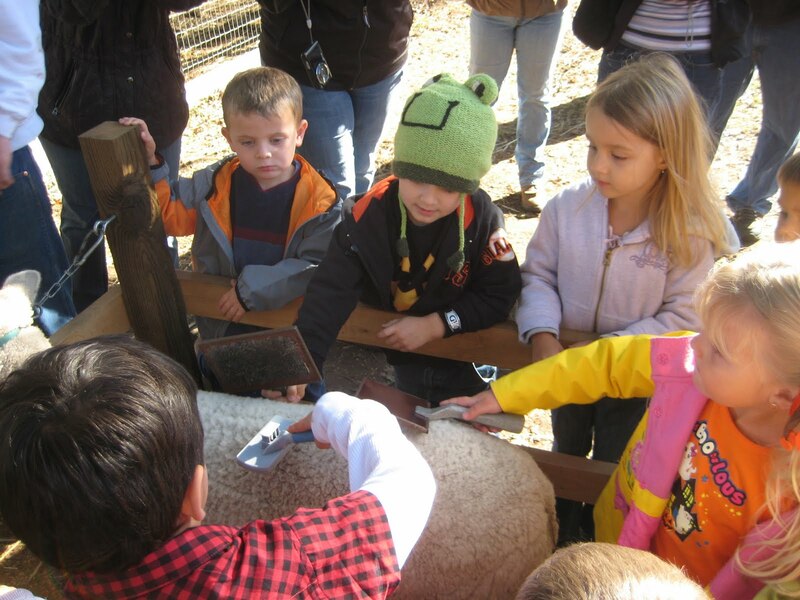 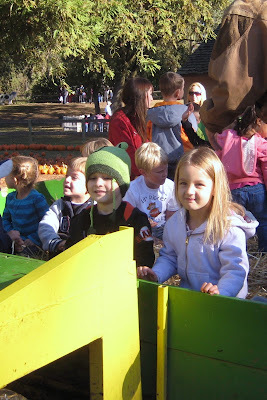 We got to pick out a pumpkin, ride in a tractor pulled hay ride, and see all kinds of farm animals. 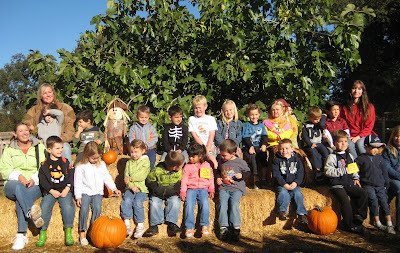 It was a super fun morning! 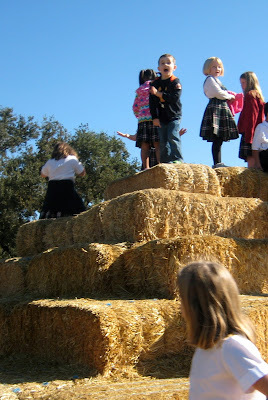 So excited for the hay ride! 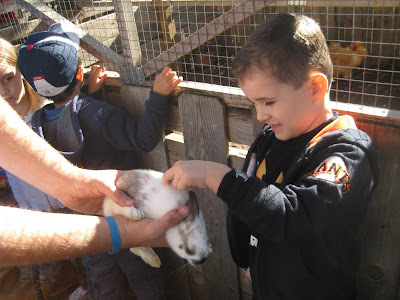 Petting a bunny. 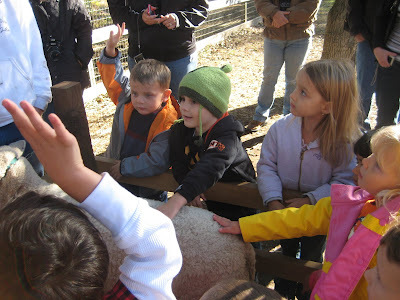 We also saw a donkey, pony, alpaca, cow, some chickens, and goats. 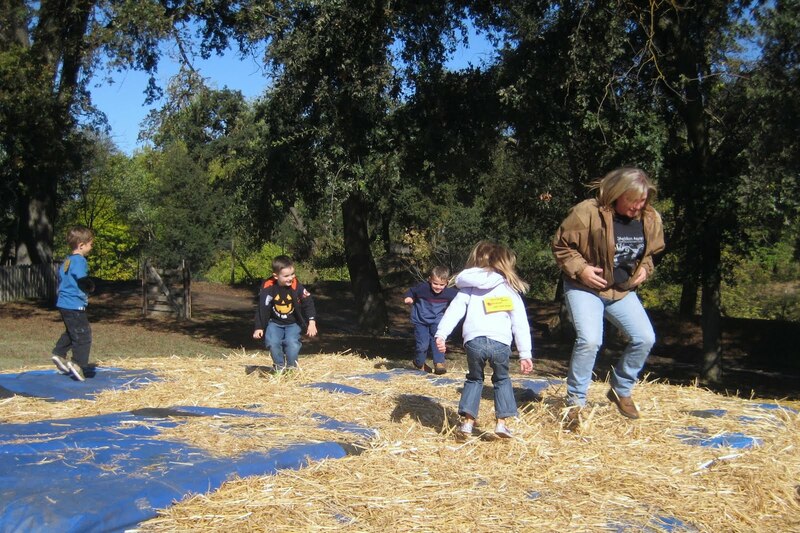 It's time to play! Bouncing on the straw covered trampoline with friends and preschool director Mary!